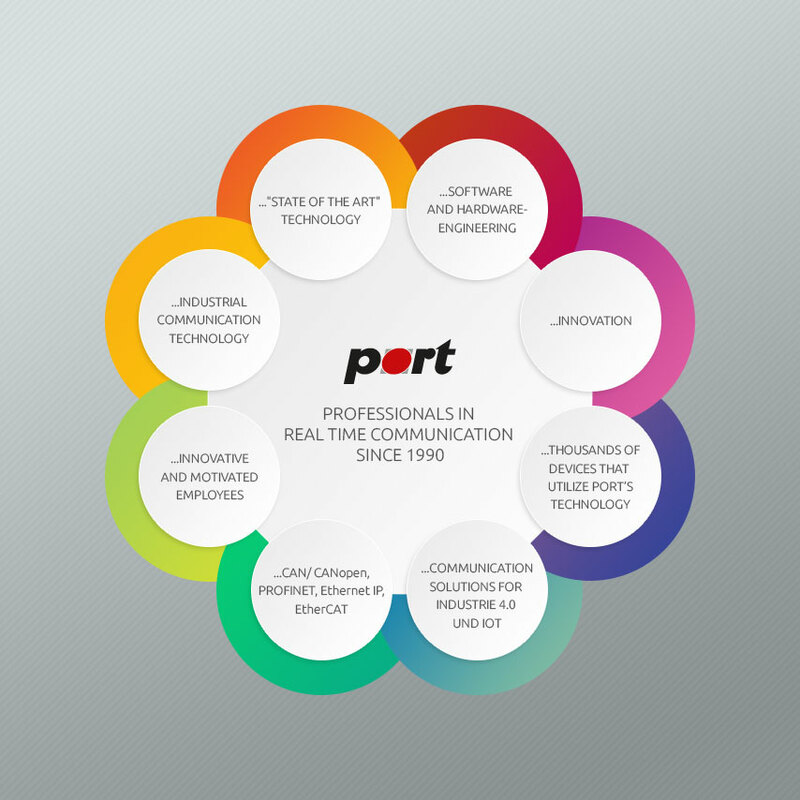 port GmbH completes the support for 32 Bit ARM Cortex MCU´s by STMicro. The CANopen Library by port GmbH operates based on the communication profile CiA 301 V4.2 of the CiA e.V. " CANopen Application Layer and Communication Profile" resp. EN50325-4 and offers the corresponding services. The Library is created completely in ANSI-C and can be used with any ANSI-C compatible compiler. As per required functionality the CANopen Library is available in different versions. For creating small Sensors or Actuators with limited CANopen functionality the price-wise attractive Slave Small-version is available. Beside the limitation of the number of usable services, the CANopen services SYNC and TIME are not available. The regular Slave-version of the CANopen Library provides all services to create a complete slave, while network management Master functionality as well as comfortable node supervising functionalities are available in the Master/Slave-version, which carries also all services of the Slave-version. The CANopen Library now supports STM32F1xx / STM32F2xx and STM32F4xx completely. The driver for Single- and Multiline-functionality are available as well as for BASIC- and FULL CAN MODE. All drivers are supported by the CDT (CANopen Design Tool). By using the CDT, the engineer has a tool available to reduce the development effort and the time-to-market significantly. For many STM32Fxx MCUs a CANopen Bootloader by port GmbH is available.